It's been a bad week for the global economy, and the United States just made it even worse. The Trump administration confirmed Friday that it would move forward with tariffs on $50 billion of Chinese exports. Beijing called that a declaration of a trade war, and promised immediate retaliation. 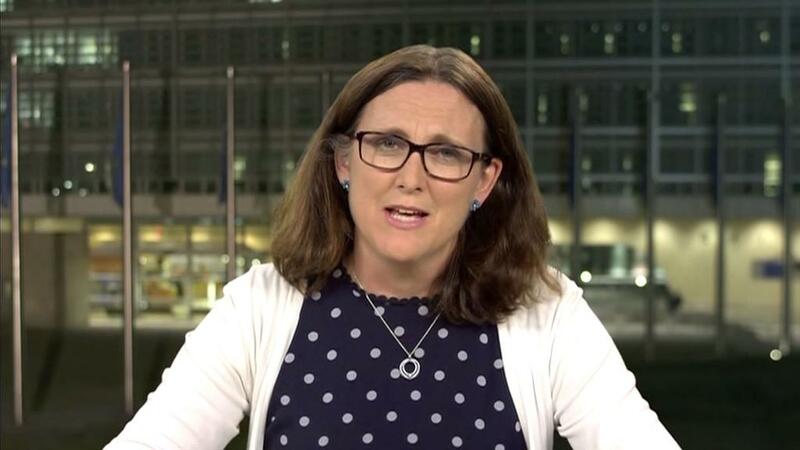 The week began with a chaotic G7 summit where simmering tensions over President Donald Trump's trade policies led to a deep split with America's closest neighbors and allies. Protectionism is now threatening to slow global trade, and undermine growth and jobs in the United States. Germany has slashed its economic forecasts, new data show China may already be slowing, emerging markets are coming under pressure and the International Monetary Fund is sounding the alarm. "The clouds on the horizon ... are getting darker by the day," IMF Managing Director Christine Lagarde said earlier this week. It wasn't supposed to happen this way: The global economy started the year on a broad upswing that had only strengthened since it began in 2016. With momentum expected to continue into 2019, policymakers were urged to take advantage. Developments over the past week suggest that economists may have been much too optimistic. The central bank in Germany, which boasts the largest economy in Europe, slashed its growth forecast for 2018 by half a percentage point on Friday to 2%, and its president warned that uncertainties "are considerably greater than they were." "The most recent discussion on trade started by the United States has again led to an increased risk of growing protectionism worldwide," the central bank said. "An escalating global trade dispute or widespread rises in import tariffs would have a marked negative impact on Germany." There are plenty of headwinds elsewhere in Europe: A political crisis in Italy raised doubts about its continued use of the euro, Britain is unable to provide clarity on Brexit and France is wrestling with labor strikes. The European Central Bank, which said Thursday that it would end its €2.5 trillion ($2.9 trillion) stimulus program, also promised not to hike interest rates until the middle of next year — a reflection of risks to the economy. In China, new data show that credit and investment growth have taken a major hit. The world's second-largest economy is also suffering from weaker consumption and export growth. "The surprising resilience of China's growth this year has been a very helpful buffer for the global economy amid various emerging headwinds," wrote analysts at Oxford Economics. "Economic data suggest that the slowdown in China ... is now coming through." Hopes of a rebound in emerging markets have been dimmed by Federal Reserve rates hikes and a stronger US dollar, which discourages investment in countries such as Brazil and Indonesia. The trend has forced multiple interest rate hikes in Turkey and Argentina, which has also accepted an IMF bailout. In the face of these headwinds, economists are urging the Trump administration to change course. The IMF made clear this week that US trade and fiscal policies threaten to further undermine global growth and ultimately drag down the United States. Lagarde warned that rising federal budget deficits could cause the American economy to overheat, necessitating US interest rate hikes that would put emerging markets under more pressure. "We are already starting to see symptoms of such negative effects in some emerging market countries, and this might not be the end of it," she warned. The second piece of advice from the IMF boss has been repeated in national capitals across the globe: Stop with the tariffs. "Let us not understate the macroeconomic impact [of the trade spat]," Lagarde warned. "It would be serious, not only if the United States took action, but especially if other countries were to retaliate." Trump's former economic adviser Gary Cohn said Friday a trade war could wipe out the benefits of tax cuts. The first shots are already being fired. 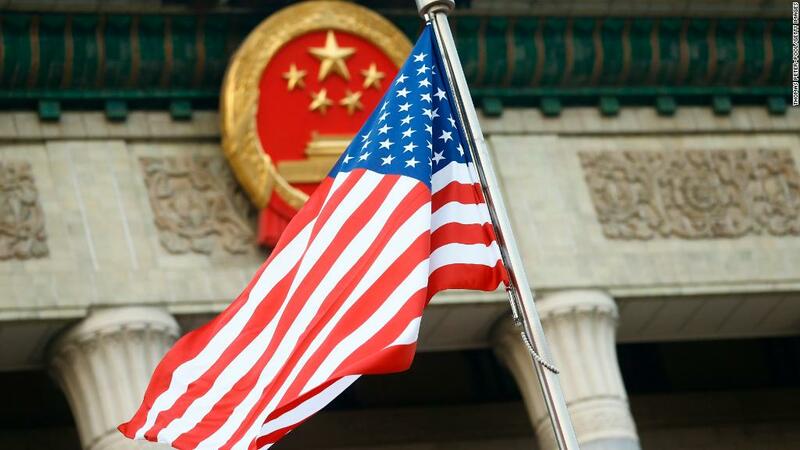 China's Commerce Ministry said it would immediately launch retaliatory tariffs and nullify trade agreements previously negotiated with the United States. If Beijing follows through, Trump has promised another round of tariffs on Chinese goods. Barclays estimates that a full percentage point could be knocked off global economic growth next year if the United States slaps tariffs on $100 billion in Chinese goods and Beijing responds with dollar for dollar penalties. "The increased uncertainty and risks [from the trade fight] will weigh on business confidence and investment," wrote analysts at Oxford Economics. "There will be an impact on growth, in China, the United States and elsewhere, at a sensitive time for the global economy."